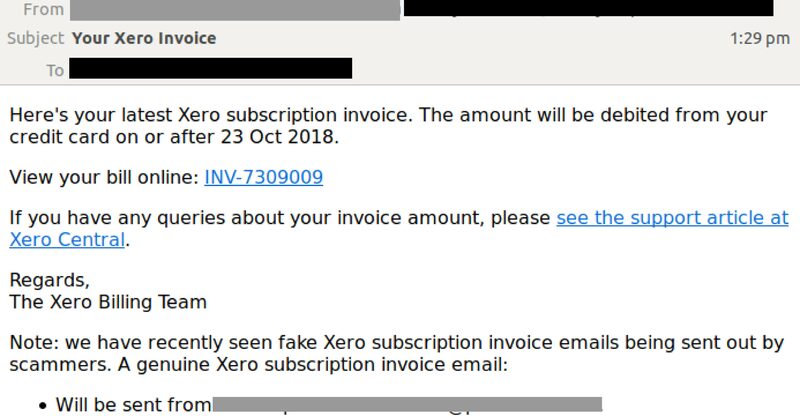 This is not the first Xero based scam MailGuard has seen recently. Accountants, bookkeepers and financial professionals are particularly attractive to cybercriminals who know that they hold access to valuable financial information for company payrolls, invoicing, and the like. The body of the email is simple, advising recipients that their Xero invoice is ready, and that the amount in the invoice will be debited from their credit card. The amount will be debited from their credit card on or after '23 Oct 2018'. It contains a link to view this invoice, which is malicious. This email scam is a good reminder of the importance of being vigilant when accessing emails. 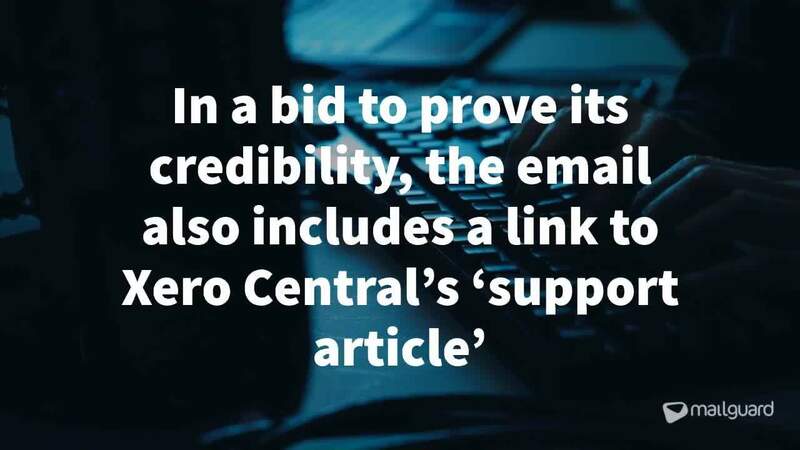 This is mainly because despite employing several techniques to boost its credibility, the email scam does contain some red flags that point to its illegitimacy. MailGuard urges all cyber users to be vigilant when accessing their emails. Email attacks can be enormously costly and destructive, and new scams are appearing every week. Don’t wait until it happens to your business; take action to protect your business and your staff from financial and reputational damage, now.